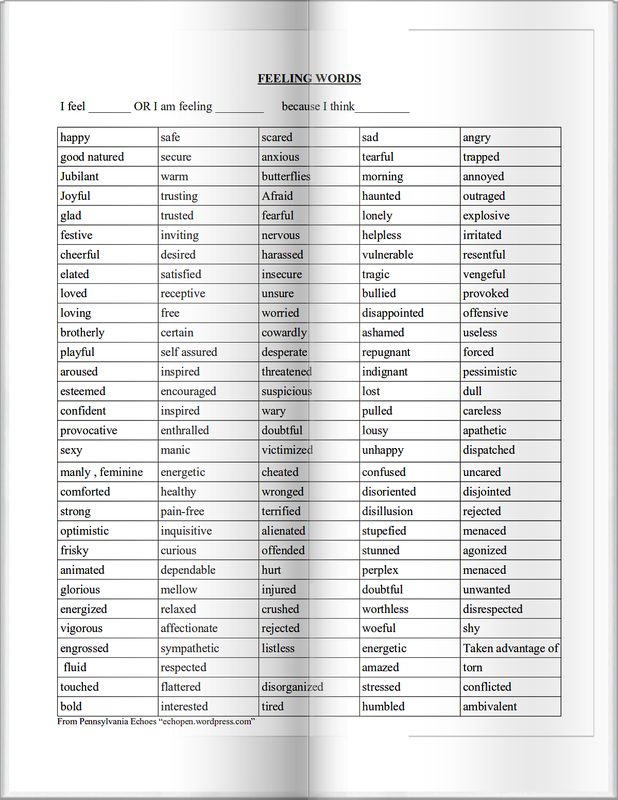 Journaling and writing is a great way to explore persistent topics or subject matter that, are presently creating a lot of stress and anguish. At the same time one is using his or her creativity. One form of Journaling that I use is “creating a Dialogue“. “Creating a Dialogue” with journaling is base on the Empty chair (aka “open” or two chair) methods where a dialogue is maintained by two “parts of a person” are in conflict, competition or at odds with each other.Its a little tricky at first, but here goes..
-or a big upcoming life event. Any idea, subject, event that causes immediate or prolong stress can be dealt with by journaling. but lets not stop with there. back to the rest of ‘Me’..
…feels, needs, desires or want? …what would the “Arthritis Pain ” wish to say to the rest me, if i gave it a voice? When one feels prolonged distress . its often do to “polarity”. that is: according to the Gestalt therapy point of view, two parts of one-self, figuratively, are in conflict or competition with one another. Part A thinks,feels needs,or wants something and what part b thinks,feels needs, wants is in someway in competition or conFlict…. 3. It is important to recognize that both sides of the subject matter are me or I.
the two are just two sides of the whole of me or “I” that in “polarity“. After finishing the letter I take a break, and I can take a look at what i wrote. any conflict. Awareness is the point of this journaling. Was it clearly easier to write from one side or the other? Can I clearly state what the two side of me in polarity were? Did I unconsciously write any self judgments? Did I use any “should haves” in my writing? Do I feel more anxious or excited as I read letter? Do I see other polarities to journal about hidden in this one? Do I notice one side top dogging (or seemingly trying to dominate and change) the other? was there difficulty staying the here and now? can I note any self discoveries? 7. After I am done with any type of self therapy , I destroy what wrote. I, personally see no sentimental value in keeping these “in the moment” writings for self therapy. It also avoids embarrassing situations if the journaling is found by someone else…and I am free from this anxiety when writing. The Purpose of this style of journaling loosely borrowed from Gestalt therapy Open Chair,(or Empty Chair or Two chair methods), is to become more aware of the normally occurring conflicts and polarities I have in life and how I feel and think about them…. Hopefully so that I resolve and move on, cope with what cannot be easily conquered. and not spend an unnecessary amount distressed over tough choices and situations. Make this Self therapy idea your own. 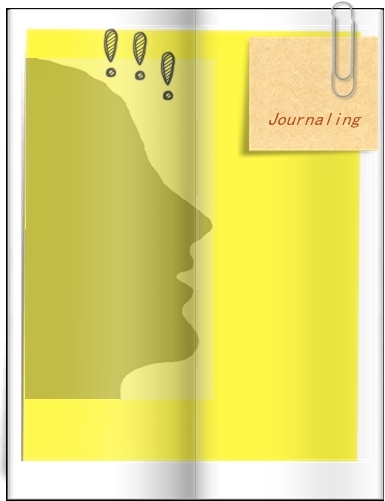 this Dialog journaling is to give ideas for you to come up with your own creative tasks to cope with, live with, conquer or resolve those stressful events and circumstances of life. We all need to vent some times. We need to get things off our chests. Our minds maybe filled with thoughts, anxieties and it needs to get out. Perhaps we need a friend to talk to. But what if we are somewhere where we have no one to talk to? What if we don’t believe we can talk to someone about what is on our mind? … it can be done with pen and paper or into a voice recorder, etc. “Purging to Paper Journaling ” is basically just venting out or purging what is ones mind… through pen…… and onto paper. This can be a cathartic experience and is useful when one feels overwhelmed and needs to vent. Have a pen and paper (preferably scrap paper) handy at desk, bed stand or even in pocket…. so it is available when needed. When needed simply write and purge out what ever is one is thinking at the moment… from the mind to pen to paper, staying in the moment with energy. Do not be concerned with grammar, spelling or writing logically or coherently with this exercise, or how fast one writes… the idea is to dump every thing from mind to paper . There is no need to stop and look at what’s being written. If one can’t get started… perhaps they are thinking “I don’t know what to write”… well: write “I don’t know what to write…”. When one feels confident that they have exhausted all they can write..
then STOP, breath for a couple minutes. Now my favorite part of this therapy exercise… ripping the paper that one just journaled on, to shreds and throwing it away. Purging to Paper Journaling is done without judgment with purpose of clearing ones mind. this “technique” (loosely) can be incorporated into meditative journaling or creativity and can be changed into how ever one wishes to experiment in writing. Its also a simple way to learn to journal and incorporate therapies into our stressful lives.